GARFIELD, N.J. -- Authorities released surveillance images Wednesday of a man who they said robber a Garfield bank of $3,250 a day earlier. 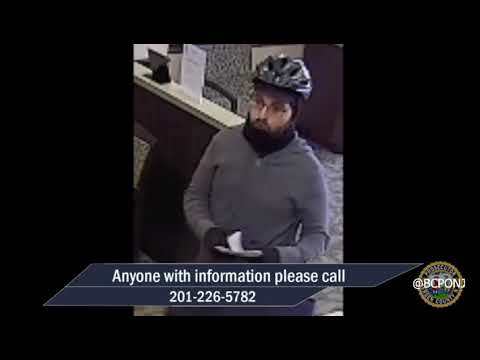 The bandit fled with the cash from the Clifton Savings Bank on Palisade Avenue after passing a note justbefore 5 p.m., Lt. Richard Uram said. He was described as white, in his 30s,about 5-foot-8 to 5-foot-9 and 140 to 150 pounds, wearing a white t-shirt, dark pants and a baseball cap. He also appeared to have a scar on the nape of his neck. Authorities asked that anyone who saw something or has information that could help catch the robber call Garfield police: (973) 478-8500.